Being a long-time fan of the Hyperdimension Neptunia series, I was very excited when Idea Factory International announced they would be localizing Hyperdimension Neptunia Re;Birth2: Sister’s Generation for us here in the West. This is remake of Hyperdimension Neptunia MK2 that released on the PlayStation 3 back in 2012. How does this portable remake stack up to the original? Let’s find out! The main storyline remains mostly unchanged. 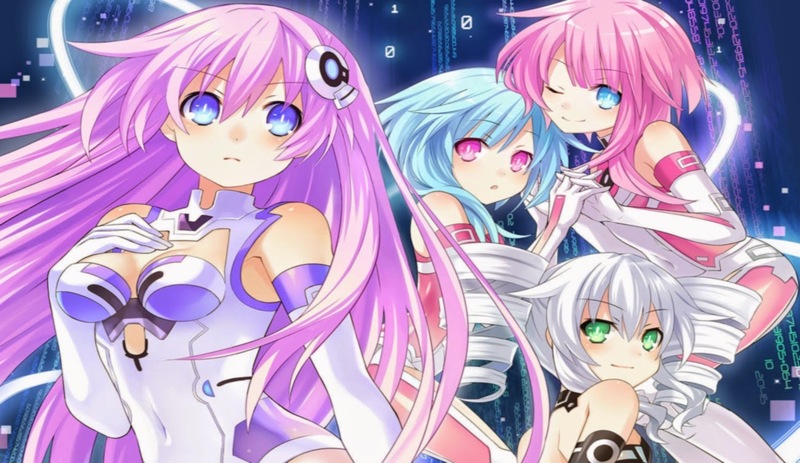 The CPUs and Nepgear have been captured by the Arfoire; Syndicate of International Crime, or ASIC for short. This evil group wants to destroy Gameindustri by taking away all of the CPUs shares in order to resurrect the evil Deity of Sin Afoire. 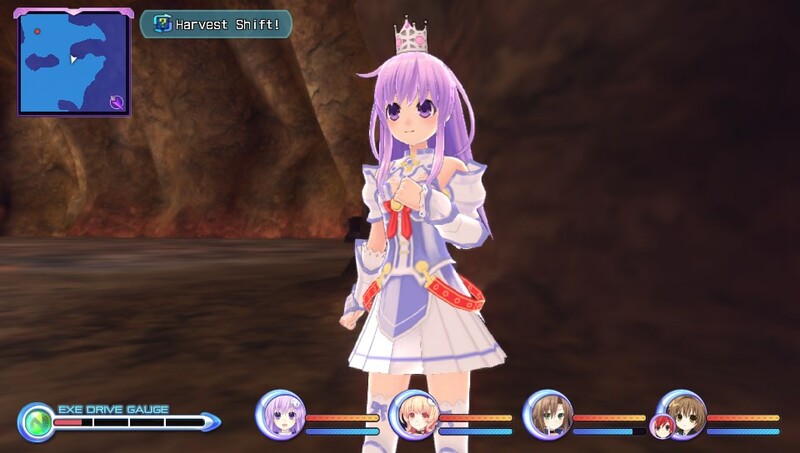 IF and Compa manage to free Nepgear, who sets out on quest to gain the help of the other CPU candidates in order to save their sisters and Gameindustri. However, that is not to say everything is exactly the same in this release. One thing that is noticeable right off the bat is that Pirachu’s name has been changed back to Warechu. Another big question that I’m sure players of Hyperdimension Neptunia MK2 have asked is why this game is rated T when MK2 was rated M. So far as I know, no censorship took place. While I have no official answer on this, I can say that, while Trick is still a huge perv and you want murder him slowly, the scenes are not quite as graphic this time around. There is nothing missing from the scenes so far as I can tell. 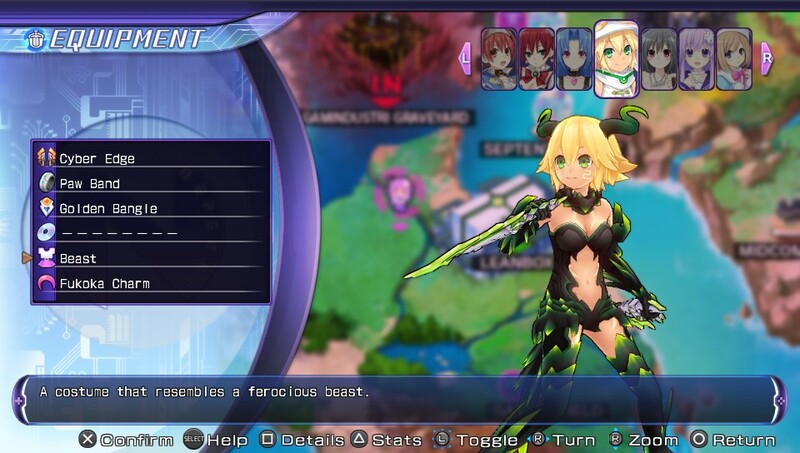 Overall, I was very impressed by the localization work Idea Factory International did on Hyperdimenison Neptunia Re;Birth1, and this release is done just as well if not even better. There are more playable characters this time around, as well. First off, Red is back, this being her first appearance in the series since the very first Hyperdimension Neptunia. Other game maker characters, such as Broccoli, Tekken and MarvelousAQL, join the character lineup, as well. You can also unlock each of the four nations’ oracles as playable characters. Sadly, this remake does not include Gust or NISAfrom the original release, but, as you can see, there are tons of characters to choose from. 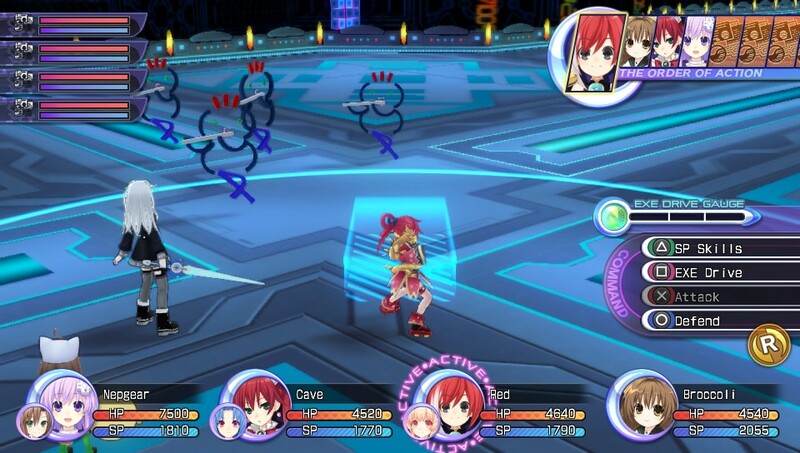 Graphically speaking, there isn’t that much difference here from Neptunia Re;Birth1. All the character models and enemies still look great. As a series standard, you will notice a lot of the same enemy models from the previous game, but there are some new ones thrown in there, as well. The environments are all well represented, from the forest levels to lava-filled volcanoes, it has it all. The frame rate is pretty solid, a big improvement over the PS3 release. All of your favorite themes from Hyperdimension Neptunia MK2 are back, and they sound just as great as before. I had forgotten how well “Solid Park” worked as a battle theme. There is a brand-new opening movie and theme, as well as an ending one, both of which are pretty damn good. All of the voice actors from the previous titles are back to reprise their roles, and this game features dual audio for those that love the Japanese voice cast. Personally, I think both casts do a great job and I enjoy the game either way. The gameplay is pretty much just like what was found in the previous Re;Birth title. You explore dungeons on the world map in order to make the story progress. As usual, there are plenty of guild quests and side events to keep you busy when you’re not pushing the story forward. You will also need to collect many different materials in each dungeon to complete plans to unlock more goodies. Guild quests will also move shares between the four nations. This is important in determining what events you trigger and which ending you receive. Players of the PS3 release will remember moving shares was a pain because each nation had lots of little areas that counted towards their total share percentage. You could even get shares stuck in these smaller areas, forcing you to start a new game if you needed to move them. Now, shares move just like later entries into the series, just as a percentage of the entire nation. For example, if a certain quest takes 5% from Leanbox and moves it to Lowee, it does exactly that without having to figure up how many shares each tiny area has. The method is so much better and much easier to manage. The plan system found in previous title is back and bigger than ever. In this system, you will spend so much of the memory you have obtained to unlock various features. There are tons of costumes, weapons, processor units and a bunch of other perks to unlock. Some of the more useful perks include such things as showing where the hidden treasures are on the dungeon maps and faster filling Exe drive gauge. The great thing about the Re;Birth titles is that all of the items that were DLC in the original PS3 release are found in the game. You will, however, have to find the plan and the materials to unlock these items. As for the combat, it is still a turn-based affair. Enemies will appear on-screen in each dungeon, and you will get a chance to strike them with your weapon — gaining the first strike. 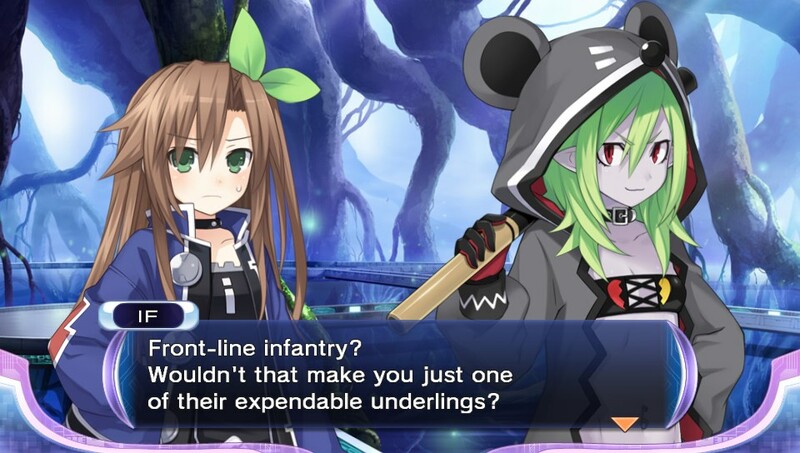 Not a lot has changed from Neptunia Re;Birth1. The biggest difference is that you can now have four characters in battle, while, in all of the previous games, you have been limited to three. Series fans can now live their dream of having all four CPUs or all of the candidates in combat at one time. For those that played the original release, this combat system will be a welcome change over the AP- and SP-hoarding system found there. Check out the thrilling conclusion of this review on Page 2.